Parades, Fairs, and FUN with Your Kids in NYC this Month on KidPass! May is here! Now we finally see a change in weather and everyone is starting to plan their summer as Memorial Day is just around the corner. The city’s streets open up for dozens of street fairs and festivals, free outdoor concerts and performance, movie nights under the stars and lots of great activities for kids of all ages. The 11th Annual Dance Parade will fill the streets of Manhattan with over 10,000 dancers of all ages showcasing all genres of dance from Ballet and Break Dancing to Modern and Traditional Cultural dances. The parade will end at Tompkins Square Park for a DanceFest celebration with 5 stages of performances and free dance lessons. 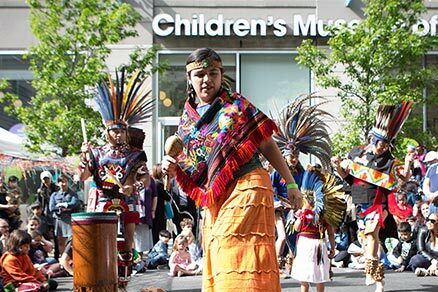 The 2nd annual Free Kids Fair kicks off outside of the CMA museum with interactive and hands-on art projects for everyone to get involved in. Learn how to make your own flubber, decorate giant paper puppets and wild paper hats, jump rope, make chalk drawings, play skeeball and ring toss and enjoy a Interactive Capoeira Performance by The New York Mindful Capoeira Center. A vendor area will be set up with local artisans selling their products and goods. 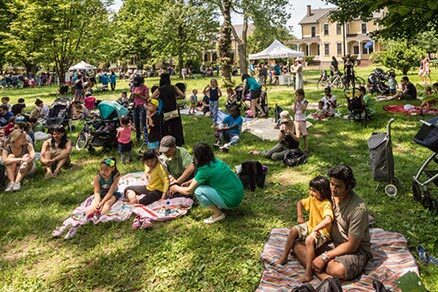 NYC’s family favorite destination is now open for the season- with acres of open land to run around and scoot, picnic or swing on a hammock, Governor’s Island kicks off the summer with their annual Family Fun Day. Performances by Story Pirates, Mario the Magician, face painting and puppet making, Live music by Tim Kubart and the Space Cadets, a homespun Merry Go Round and much more.